NEW DELHI (Reuters) – India’s election commission on Monday banned firebrand Hindu nationalist Uttar Pradesh Chief Minister Yogi Adityanath from campaigning for three days to stop him stoking hatred between religious communities in a divisive election that will end next month. 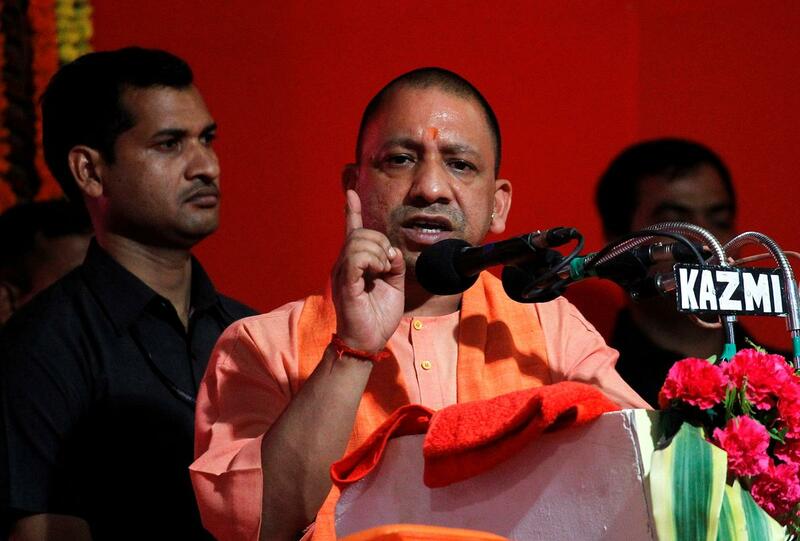 The saffron-clad Adityanath, from Prime Minister Narendra Modi’s ruling party, had been warned this month about his campaign speeches, the election commission said in its order. The commission said Adityanath, a holy man, had spoken about a “green virus” in a speech last week, apparently referring to Muslim voters who he said were being wooed by opposition parties. A BJP spokesman said the party was inclusive towards all communities and its leaders were discussing the ban on Adityanath. The ban on the Dalit leader, Mayawati, would run for two days, it said.